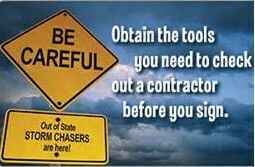 Beware of storm chasing contractors in Lancaster, KY and the surrounding areas. As a home or business owner you’re likely to get a knock on the door by one of these out of town visitors. They pose as “local companies” who offer insurance roofing repair for hail storm and wind damage. We have nothing against healthy competition and there are certainly many qualified roofers in Garrard County, but with the recent hail storms it’s easy to fall prey to “fly by night” scams. Is your roofer established locally in the area? It’s not uncommon for “traveling contractors” to set up shop locally after a huge storm. They realize there will be a large volume of work over the next coming months, so they often will rent a nearby location that appears to give them a local presence. Our office location is centrally located for our service area throughout central Kentucky. Do they have local id’s & licensing? Many of these roofing contractors may offer some type of excuse for not having a local id. Some include “I’ve just moved here” & “I have a second home elsewhere” and so on. We always provide any all all identifications upon request including all local business licensing information. Do they offer local customer referrals and testimonials? Be sure to check with other homeowners in Garrard County and ask them whom they have used as their roofing contractor of choice. Our commitment is to ensure that each and every one of our clients is not only satisfied, but is encouraged to share with our future clients how they feel about us. What type of rating do they have with the Better Business Bureau? This is definitely one sure way to avoid being scammed. Concerned residents should always research the company’s credibility and cross reference it with the BBB. While we try our best to keep from being boastful, our rating with BBB speaks for itself. We have the experience, knowledge and crew to assist you with all of your insurance roofing repairs. We specialize in insurance claim contracting from start to finish. We handle all work and improvements your property requires. Our services include shingle repair and replacement, storm damage inspections, window repair, siding repair and guttering. We install the highest quality products in the industry and we are dedicated to performing our work with integrity and quality workmanship. 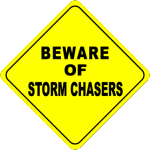 If you have experienced wind and or hail damage, don’t be taken by “storm chasers“. Trust in a local contractor who ensures that no damages are overlooked and offers the highest quality of service.